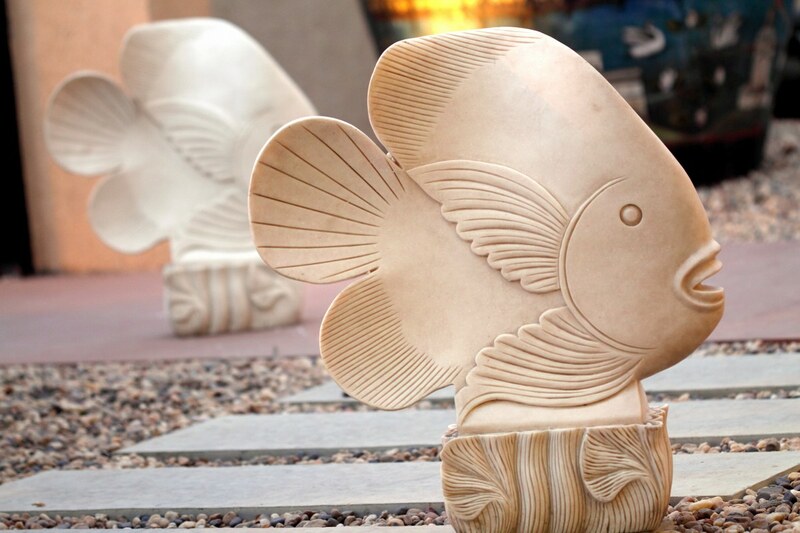 This fish sculpture is a homage to the sea! It reminds you of the sea and the beautiful galore of creatures that lie hidden beneath. Carved in marble, it is substantial enough for both outdoor, or indoor decor.